Prince Mahesh Babu latest film Bharath Anu Nenu is receiving a great response since day one of the announcement. ‎It is heard that Mahesh’s punch dialogues and thrilling action sequences will give some thigh slapping moments for the fans. Mahesh will be seen essaying the role of Chief Minister in the film. Bharat Ane Nenu is directed by Koratala Siva and Produced by DVV Danayya. Kiara Advani in the female lead role. We can see Rama Prabha, Sarath Kumar, Prakash Raj, Devaraj, Aamani, Sithara, Posani Krishna Murali, Jeeva, Krishna in the supporting roles. Music for this film is composed by Devi Sri Prasad. Edited by A. Sreekar Prasad, Cinematography by Ravi K. Chandran and Tirru. 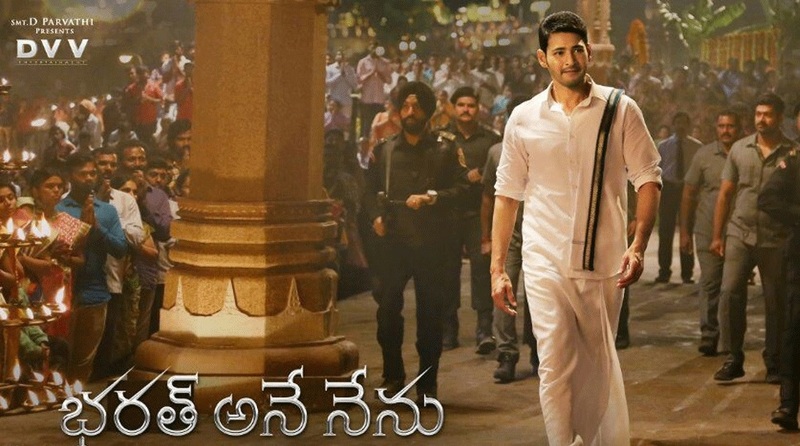 Check Bharat Ane Nenu Movie review, rating, live updates, public response here. Bharat Ane Nenu, is a political thriller with Mahesh Babu playing the role of Chief Minister who abides by his promises for the upliftment of weaker sections. Bharat Ane Nenu movie starts with the Oxford University Convocation. As rival factions lobby for CM post, PrakashRaj makes key decision to make Bharat as CM. Kiara Advani as Vasumathi played a role as college girl. What Bharat did by playing the role as CM? How he handles all the difficlut situations is the rest of the story. For the first time Mahesh babu played the role as Cheif Minister. Mahesh Babu is the major attraction of the film and justified his role. Koratala sticks to the theme and narrated this grand political drama with perfection. Overall, a must watch film for this weekend. Bharat Ane Nenu is a commercial entertainer with a social message. The movie attracts all the audience. Must watch movie. Stay tuned to this website. We will update Bharat Ane Nenu Movie Collections here. Press CTRL+D to bookmark this page for easy navigation.